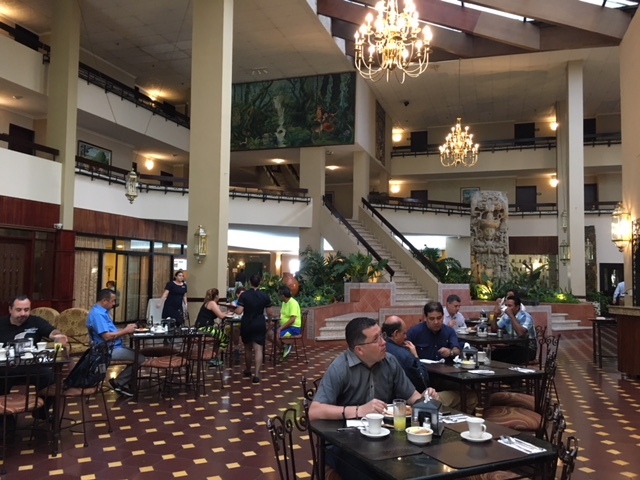 The Copantl San Pedro Sula retains its charm. It has always been locally owned, and the Honduran hospitality and service is evident throughout the property. Although the rooms are small, they have been upgraded and now have ceramic floors. Much better in the humid tropics of San Pedro Sula, where carpets will keep humidity. Hi speed Wi Fi is available both, in the rooms and the public areas. This makes checking your email and staying in touch with home easy. Their breakfast buffer was outstanding. A variety of fresh fruits, beans and plantains give it a local touch. A nice selection of Danish pastries and fresh eggs cooked to your taste. The lunch buffet was also complete and tasty. Being a beef eater, I must say that my favorite restaurant was La Churrasqueria. This restaurant is on a terrace in the top floor. The view is outstanding and the steaks are tender and perfectly cooked! 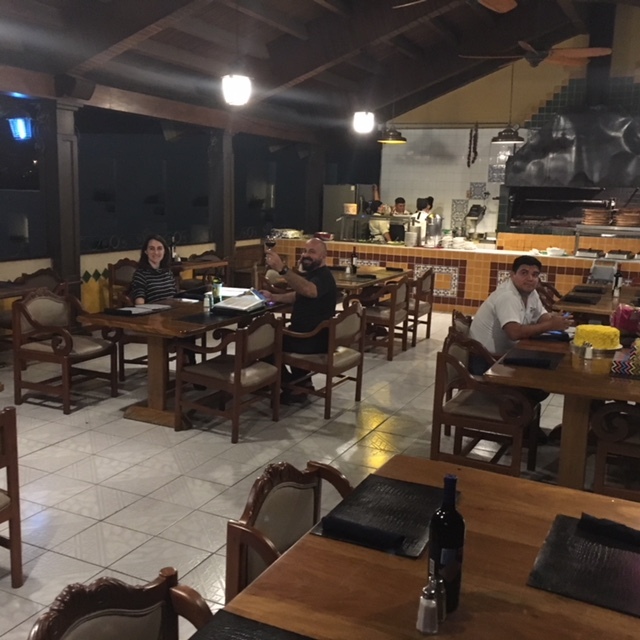 The waiting staff is friendly and provide great service. I can say they were generous with their smiles. The Hotel Copantl San Pedro Sula has a fantastic Semi Olympic pool. They also offer several tennis courts and a great gym. If you are one of those persons that needs to work out daily to feel well, there is no better option in town than the Copantl. Finally, the Hotel Copantl San Pedro Sula offers the best meeting facilities in Central America! 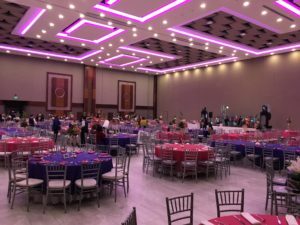 Yes the San Pedro Sula Convention center at the Copantl Hotel offers state of the art meeting and convention facilities. These can accommodate events of up to 4000 persons! Regardless of whether you are looking for a venue to hold your meeting or convention, or need a room to stay in, The Hotel Copantl is a great alternative! It is one of those rare hotels that gets better with time!